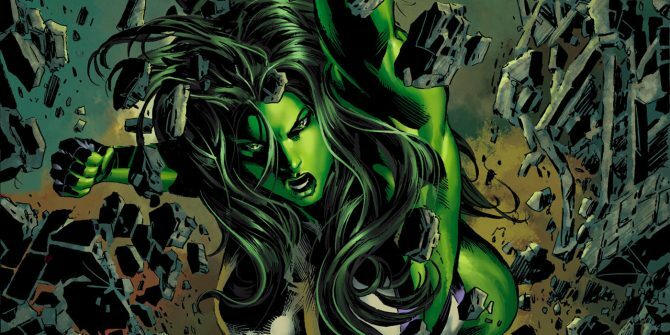 Doctor Who director Rachel Talalay has expressed her desire to take a crack at a She-Hulk movie. Marvel, are you listening? Vice caught up with the Tank Girl helmer to discuss Patty Jenkins’ Wonder Woman solo film, its runaway success – critically and financially – along with the female superhero movie genre in general. It’s come an awful long way, and one need only look to the likes of Captain Marvel and, to a lesser extent, Gotham City Sirens, for proof of female-driven blockbusters cramming up the pipeline. There’s still much to be done, of course, and that’s something Talalay addresses in her extensive interview. But if the stars were to align, the filmmaker says she would select She-Hulk as a character ripe for a big-screen adaptation. The difference between She-Hulk and Hulk is that she loved being She-Hulk. She was the Tank Girl of earlier days in terms of being able to say what she wanted, and when she became She-Hulk, it was like an opening of the door to freedom, to be the person that you wish you could be. That you’re stopped from being as a woman. And that’s the version of She-Hulk that I would love to embrace. As Rachel Talalay notes, there’s a fairly compelling origin story to be mined from Marvel’s She-Hulk comics. The big question now is whether the studio will take heed of her interest in a potential feature film. Indeed, She-Hulk is one of a number of fan-favorite characters that Marvel may pluck from the sidelines in time for Phase 4 of its ever-evolving cinematic universe. Wonder Woman, meanwhile, is facing a tight race with Pixar’s Cars 3 (our review) if it’s to make it three for three at the weekend box office. Stay tuned for more on that front.